The official user manual should work fine already. However, for beginner users, the following details might be helpful. Make sure there are no other devices occupying the default IP address of the miner(192.168.1.254). Otherwise, you may can’t login to the configuration page of the miner. In Windows, please use the “ipconfig” command to find out your network details. Press “Win Key + R“, then a “RUN” box will be shown. Type “ipconfig” and then hit the Spacebar on your keyboard. Then type in the address you’d like to ping and then hit the Enter key on your keyboard. After a bit, you will get the network result. The “Default Gateway” in the result is the IP address of your router. Get your PSU ready. You’ll need a PSU > 750w with 6pin x 9 for the miner. Check here for the Setting-up for PSU. This is the Innosilicon A4+ you will receive from EastShore. For obvious reasons, newly developed miners (by different manufacturers) all look similar which actually makes it easier for users. Please check if all the cables on the miner are inserted tightly. There are NINE 6PIN ports on the miner(2 ports on each hashing boards, and another one on the controller). All the NINE 6PIN ports are needed. Plug in the ethernet cord. 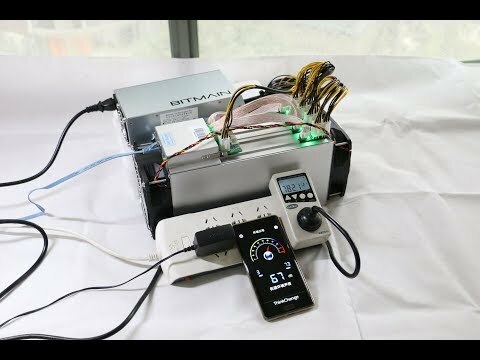 Power on the miner, wait for about 1~2 minutes. The default IP of the miner is “192.168.1.254“. you can log into the miner configuration page for miner configuration via the default IP. Please open your internet browser, such as Google Chrome, IE etc. and type in “192.168.1.254”. Go to the “Miner Configuration” page. Click the “Config” button at the left-right corner. In the following page, click “Login” button to log into the configuration page. The default password is “12345678“. On the next page, you can configure your own mining account. Then click the button “Save” to save and apply the changes. In the configuration page, you don’t need to change any other options. The mining will automatically start after a few minutes. Go to the “Miner Status” page and keep refreshing the page until some data (Speed, miner account, pool etc.) is shown on the page (which means the machine has started mining. Generally, the miner needs about 3~7 minutes to start mining). You can also refer to the official manual for more details about miner configuration. Connect and configure miners ONE BY ONE. After configuring a miner, you need to CHANGE the default IP of that miner to a different one (DON’T keep the default IP 192.168.1.254). So you can configure another miner via the default IP “192.168.1.254”. Click the “Network” tab on the configuration page. In the “Settings” section, you can set the IP protocol as “DHCP” or “Static“. For “Static”: You will need to set the IP details in the red rectangle. Don’t set it as “192.168.1.254” which is the default IP. Click “Save & Apply” to save the changes. Then log in the configuration page again with your new IP address.